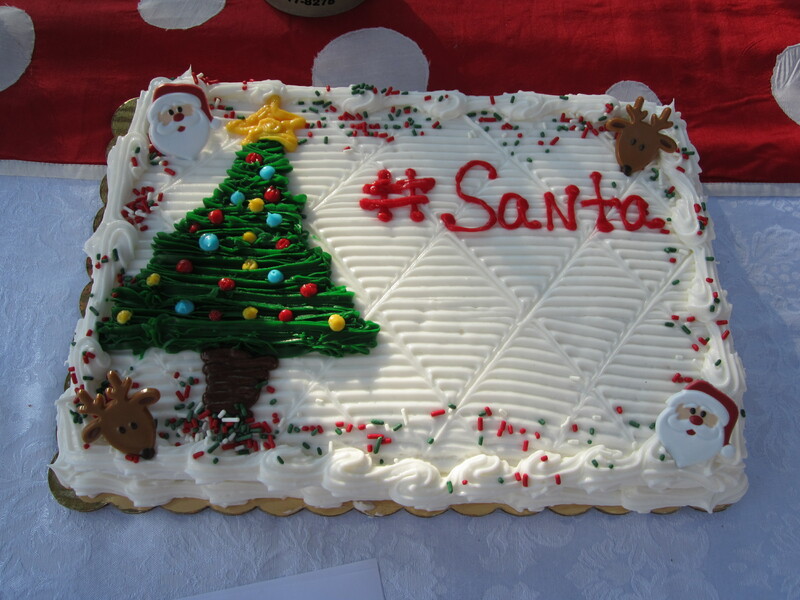 Write on Wednesday: #Santa | Does This Font Make Me Look Fat? Our Working Writers Forum members had read some of the screenplay over the last few months, but for others at the table, it was their first exposure. It was wonderful to see the expressions on their faces as the story unfolded. We were interested in which lines got laughs, and which got sighs. After the reading was finished, we had more critiques about the pacing, the characters, and the unexpected ending for a Christmas movie. 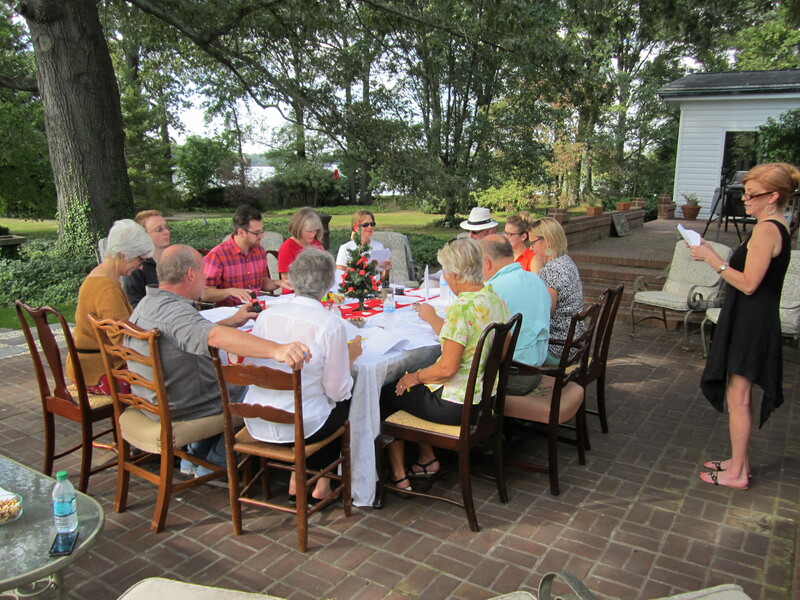 After the reading, we feasted on burgers and dogs on the grill, drank some wine and had good conversation. Then we cut the cake! If you are interested in a quick laugh-out-loud read, you can get the #Santa: The Naughty List script on Amazon, formatted for easy reading on your Kindle. If you like it, we’d appreciate a great revue. This entry was posted in #Santa, Script Writing, Uncategorized, Working Writers Forum and tagged #Santa: The Naughty List, Laura Ambler, Mala Burt, writing a movie script by Mala Burt. Bookmark the permalink.